Το Κουβέιτ Σίτι ήταν ένα ενδιαφέρον μέρος στον πλανήτη για να επισκεφθείτε. Ως γυναίκα, αισθάνθηκα άνετα παντού που πήγαμε, αλλά βεβαίωσα ότι τα ρούχα μου κάλυπταν τα γόνατα και τους αγκώνες μου. Η πόλη του Κουβέιτ είναι γεμάτη από εμπορικά κέντρα πολυτελείας και μέρη για φαγητό. Μου άρεσε η περιπλάνηση στην περιοχή SoMu, στο Souk Al-Mubarakiya και στη Μαρίνα Crescent. Ήμασταν μόνο στο Kuwait City για λίγες μέρες, αλλά αισθάνθηκα σαν να ήταν αρκετός χρόνος για να δείτε τα διάφορα sites. Βεβαιωθείτε ότι δοκιμάζετε ένα αβοκάντο και μέλι ποτό (ένα τυπικό ποτό το χειμώνα) ή ένα λεμόνι και δυόσμο ποτό (το καλοκαίρι). Και τα δύο ποτά είναι νόστιμα και αναζωογονητικά! Kuwait City to my surprise has been recovered fast from the Iraq desert storm days and now fully thriving with many tall skyscrapers. A combination of modern money and ancient history blend to create the unique architecture and culture of Kuwait City. Despite the money and infrastructure Kuwait still struggles to maintain much agriculture in the blistering heat of the dry desert landscape. Kuwait is the capital and largest city of Kuwait. It has a population of 2.1 million in the metropolitan area. Kuwait City is the political, cultural and economic center of Kuwait. Kuwait City is considered a global city. Kuwait City's trade and transportation needs are served by Kuwait . It has big mall called Avenues and 360° mall. In 1613, the town of Kuwait was founded in modern-day Kuwait City. 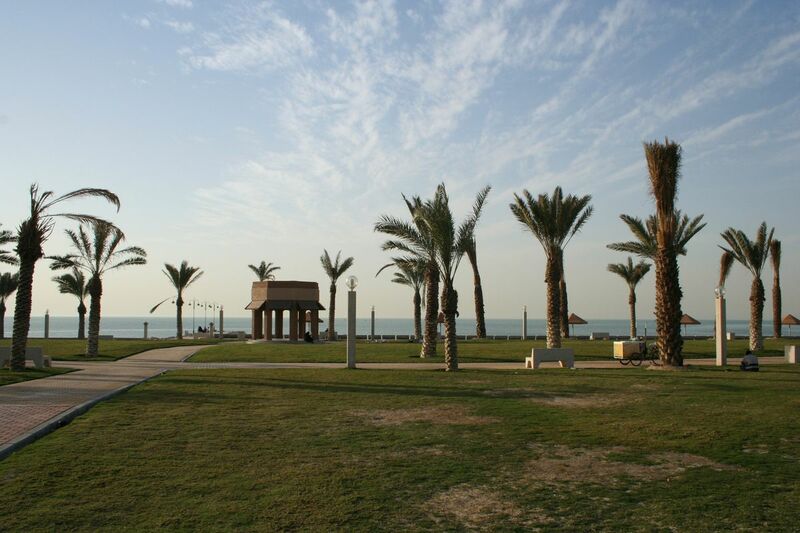 In 1716, the Bani Utubs settled in Kuwait. At the time of the arrival of the Utubs, Kuwait was inhabited by a few fishermen and primarily functioned as a fishing village.In the eighteenth century, Kuwait prospered and rapidly became the principal commercial center for the transit of goods between India, Muscat, Baghdad and Arabia.By the mid 1700s, Kuwait had already established itself as the major trading route from the Persian Gulf to Aleppo. Kuwait City is a nice place to visit and stay. It has a lot of good restaurants and places that is nice to see. One of the most special place to visit is Kuwait tower. The Kuwait tower view is very special and you can see all Kuwait city and near places to it from there. The restaurant of the tower is very special and the dishes are very wonderful. The Gulf is known for glitz and glamor and, as other countries in the region begin to compete for tourism, they have begun to lose their local flavor through a mix of immigration and globalized "mallification." Kuwait breaks the mold. This isn't a place that attracts a lot of tourists or courts them. It also has fewer iconic tourists sights. The result is a Gulf country that has retained its culture. A bit gritty and harder to navigate, this is the place to visit if you want to discover and engage Gulf Arab culture. The people were incredible friendly during my visit. We spent a fortune on taxis (much better to negotiate a half or full-day rate) but the effort and cost were well rewarded. The highlight of our visit was the old souk. The main sights of Kuwait City can easily be seen in a day or two but I could spend endless time eating, people watching, and speaking to locals and the old souk is the place to do it. While Kuwait may not be at the top of many people's bucket lists, it does have its charms - the warm waters of the Persian Gulf, the gregarious and open demeanor of its people and the whimsical exceptions to the rule that are no longer exceptions (except when it comes to alcohol, of course) - all give Kuwait a color and texture I didn't expect. In no other GCC country will you find so many old American cars and Harley Davidsons roaring along the palm lined arch of the city's corniche (beach front promenade), for example or a youth so wrapped up in hip-hop and skateboarding. These affinities for things American combined with an air of diligent neglect of the city streets since the ghosts of the first gulf war took up residence, have given the State of Kuwait an almost Cuban vibe, a cultural legacy of American intervention that merits a closer look. Kuwait City is a throughly modern city, quite opposed to the desolation you'll find in most of the country and the ramshackle towns filled with guest workers (who make up most of the population). Kuwait is an interesting place, full of tons of ancient history melded with newer western influences. I don't necessarily think it's one of those tourist destinations, but just being there will give you a sense of the antiquity of everything around you. oh, and the food is pretty amazing as well. Local fare is very skilled with the lamb and chicken.